Realwell is a Colorado based non-profit organization, founded in 2016 by the principals of NAVA Real Estate, that offers comprehensive resources for owners and occupants who wish to create their own healthy community. Focused on incorporating project-specific wellness strategies into real estate, our team of experts have developed a network of real estate and wellness professionals to help us qualify opportunities – infrastructure, best practices, ongoing operations, supportive resources – that will provide building occupants with a comfortable environment that can also enhance their health over time. Realwell is developing the implementation tools and support-structure that will help mitigate the negative impacts caused by our disconnection from nature, and create an environment filled with healthy choices. Realwell partners with real estate developers and investors to calculate the potential economic value of monetizing various wellness best practices and creating wellness-enriched infrastructure with supportive operations to help your residents maximize their living experience by allowing them to live well. Realwell strives to make real estate healthier for society by extending wellness into the home. The wellness of building occupants can be enhanced by providing healthy choices with properly designed infrastructure, and supportive programming. Working with residents to continuously monitor key wellness metrics, the professionals at Realwell strive to help people live longer, healthier and happier lives. Consistent with the World Health Organization’s definition of “health,” wellness can be defined as a state of complete physical, mental and social well-being. It goes beyond mere freedom from disease or infirmity, which are essential, and emphasizes the proactive maintenance and improvement of health and well-being. If expressed on a continuum that extends from reactive to proactive approaches to health, wellness falls firmly on the proactive side; incorporating attitudes and activities that prevent disease, improve health, and enhance quality of life. 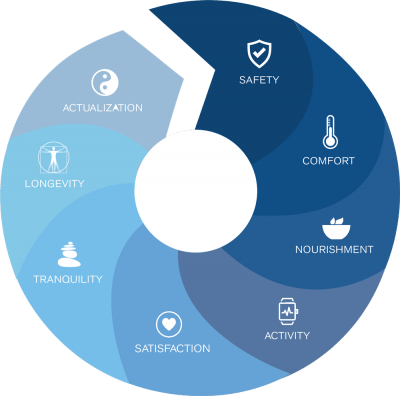 Through extensive research, Realwell has curated a series of “Wellness Dimensions” designed to increase a building end-user’s overall state of health and wellness over time. These dimensions translate into eight groups of best practices that can be incorporated into the built environment to increase, enhance and support the health of residents and occupants. As shown below, these eight elements span from the fulfillment of basic human needs for shelter and security to our deeper need to enhance one’s mindfulness and, ultimately, realize self-actualization. 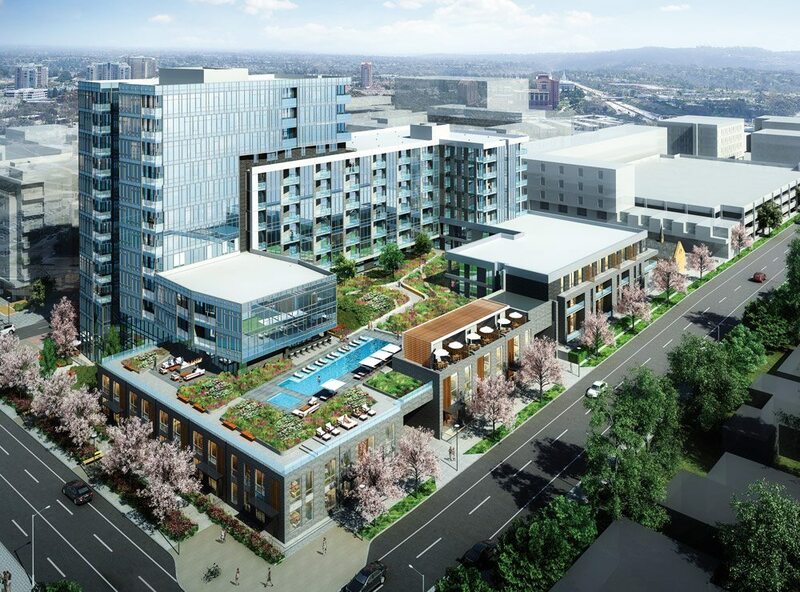 Realwell is currently advising the development team of Lakehouse, a new residential community located on Sloan’s Lake just west of downtown Denver. The Realwell professionals helped develop Lakehouse’s comprehensive approach to resident health and wellness by advancing its design for innovative infrastructure, and adding a layer of ongoing operational support to ensure the overall success of the program. Lakehouse on 17th is Colorado’s first community to pilot and pursue IWBI WELL Building Certification. In addition, Realwell incorporates unique best practices for infrastructure that will help optimize residents’ healthy living experience. Members of the Realwell network who specialize in medicine, fitness, yoga, nutrition and related fields are connected with residents to best utilize the infrastructure, and help residents achieve their own personal goals. The convergence of health-focused design, amenities, and ongoing support creates a unique environment where Lakehouse residents can readily get social, become active, pick and eat organic foods, commune in the sauna or spa, paint, cook, meditate or jog, and all with the support of our team of wellness experts. Realwell is in the process of developing a Resident Wellness Manual for Lakehouse buyers to help them understand the wellness-focused infrastructure and supportive resources. We hope to prove that living in a “healthy home” can have a significant positive impact on one’s mental and physical state over time. You are welcome to visit www.lakehouse17.com for more information about this new community.